Dubai: Off-plan residential transactions in Dubai for the first six months of 2018 totalled 9,437 units, down 20 per cent from last year’s 11,805 during the same period. The gap could have been wider had it not been for the 2,006 homes sold as off-plan last month, and the first time this year that monthly sales topped the 2,000 unit mark. In comparison, that mark was crossed thrice in the first-half of 2017, according to figures provided by GCP-Reidin. 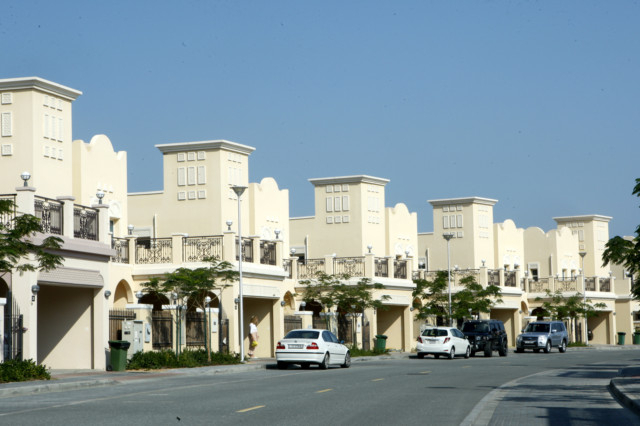 In the off-plan space, off-plan projects in the Meydan master-development (with 1,102 units sold) and Jumeirah Village Circle (908 units) were the top destinations for buyers. Dubai Creek Harbour and Dubai South also had strong numbers to show off. On the ready property side, sales in the first six months of 2018 did hold up well, with a final tally of 6,106 units as against 6,464 last year. In recent months, there are more indications of a gradual pick up in demand for luxury real estate in Dubai. The Palm has been an obvious beneficiary, while investors are also searching for options on the cluster of “islands” that Meraas has built, such as Jumeira Bay (featuring the Bvlgari homes) and the Bluewaters (the one with that giant Ferris wheel — “Ain Dubai” — in the final stages of its making.) At the broader level, developers with ready projects seem to be having just that little extra advantage. This is quite unlike the situation last year when the market was completely being driven by what was being offered up as off-plan, and with generous post-handover payment plans as an incentive. Dubai Marina, Sports City and International City were the top three spots for ready deals. “Yes, there has been a steady level of re-allocation towards the ready space in 2018, and ready deals are lower only by 6 per cent on a year-on-year basis,” said Lakhani. “This is expected to continue. But Dubai’s developers with off-plan launches still have reasons to be reasonably confident of their prospects in the second-half of the year. The first six months’ tally of 9,000 plus units comes in much higher than what many in the industry were expecting at the start of the year. And the bumper run in May suggests that the old rules of going slow during the Ramadan period no longer apply. Developers who had launches during the period managed to strike an immediate rapport with buyers. Launch prices will hold the key for second-half launches, sources add. Convince the buyer a good bargain is being offered and that project will have no trouble finding a buyer, they add, and the point to the consistently high demand that freehold sales in Sharjah has been having right through the last four quarters. In dirham terms, Dh12.13 billion worth of off-plan registrations on residential was done in the first-half of the year against Dh16.85 billion in H1-17. That works out to be a 28 per cent drop, based on GCP-Reidin numbers. (This could indicate that at some locations developers might have dropped their asking prices to be in sync with market rates. Bar a handful of locations, prices continue to be soft in much of Dubai.) In the ready space, Dh10.4 billion worth of properties got registered, and that compares with the Dh11.8 billion done last year. That’s a 11 per cent year-on-year decline, but again attests to the fact that ready is holding relatively steady in buyers’ preferences. One worry for the property market will be the upcoming round of interest rate hikes that would make push up future mortgage payments. Mortgage rates have risen 75 basis points since the start of the year and the base rate currently nudges upwards of 4 per cent. ■ For properties under Dh1 million, off-plan continues to make gains after a stellar performance during 2017. The split between off-plan and ready in this price range is roughly equal, whereas in 2015, off-plan only accounted for a third, according to a new GCP-Reidin report. It was last year that developers chanced upon a willing formula of offering smaller apartments and backed by schemes where the upfront payment is small and the bulk of it need to be paid only after handover. Or even years after completion.